Oil Crashes A Second Time - What’s Next? The double dip looks to be on. After nearly two months of moderate price gains for crude oil, by mid-March oil is swooning once again. Brent is showing a bit of resilience, but the WTI benchmark – which is the major marker for North American crude – dropped to its lowest level in six years. Producers may have thought they were nearly out of the woods, but stubborn levels of production from U.S. shale fields have prevented a rally. Even worse (for drillers) is the fact that oil storage tanks are starting to fill up. Storage at Cushing, Oklahoma is two-thirds full, and hedge funds and major investors are selling off oil contracts, betting that prices are heading south. While the oil storage story is real – average storage levels nationwide are up to 60%, a big jump from the 48% seen a year ago – it may have been played up too much in the media. Many refineries are taken offline in the spring for maintenance, which forces drillers to pump crude into storage for several weeks. Additionally, U.S. consumers are starting to use more gasoline because of low prices, and the extra demand may soak up some of the glut. Finally, production, stubborn as it is, may soon finally begin to dip. Fresh data from North Dakota shows that may already be happening. In other words, the weekly storage build may be unsustainably high. Nevertheless, the selloff is underway. That is providing an interesting opportunity for the U.S. government, which is set to purchase 5 million barrels for the strategic petroleum reserve (SPR). In March 2014, the U.S. government sold off 5 million barrels ostensibly for a “test sale,” but was no doubt at least in part motivated by the fact that oil prices surpassed $100 per barrel. However, by law, the U.S. Department of Energy is required to replenish that sale within 12 months. With the deadline approaching, the DOE has announced plans to buy up 5 million barrels to put back into the SPR. The U.S. taxpayer is about to benefit from extraordinary timing. With prices now half of what they were 12 months ago, the government will be able to bring the SPR back to up to its proper level at half the price. Low oil prices are good for the government, but not so good for the oil majors. Italian oil giant Eni (NYSE: ENI) became the first of the oil multinationals to slash its dividend due to low prices and also moved to suspend its share buy-back plan. Eni announced plans to pay 0.8 euros per share rather than the 1.12 euros it paid out in 2014. The move was not taken well by investors – the company’s stock tanked by nearly 5% on the announcement. Still, CEO Claudio Descalzi put on a brave face, claiming that he was “building a more robust Eni capable of facing a period of lower oil prices.” The dividend has long been prioritized by the oil majors, needing to be protected at all costs. Many of them have opted for dramatic cuts to capital spending rather than touch their dividend policies, even if that threatens future production rates. High dividends have made major oil companies highly attractive investment vehicles, allowing companies to obtain a lower cost of capital for drilling plans. Eni has bucked the trend, arguing that it will be more resilient as a result of the dividend cut. Descalzi insists the company will “be strong” if prices remain at $60 per barrel or above. It remains to be seen how long oil prices stay depressed, and whether or not other oil majors can avoid coming to the same conclusion as Eni. Urgent Note: In this week’s Inside Investor, our man in the markets Dan Dicker, highlights a huge danger facing many energy investors. While crude has seen some mild support recently, it appears as if a second crash may be imminent, owing to several factors. Find out what has energy investors lured into the markets again and why it could see their portfolios go up in flames. Join our Premium Service today to learn more. OPEC released its monthly oil market report on March 16, in which it argued that North American shale will face a contraction later this year. However, the oil cartel also saw some production declines for the month, as Libya, Iraq, and Nigeria continue to struggle with violence and low oil prices. Libya, in particular, is facing a crisis. Spain raised the prospect of a European Union embargo on Libyan oil if the country’s two political factions did not make headway on peace. Cutting off Libya’s only economic lifeline almost certainly would not bring a swift end to political impasse in Libya, but the EU is clearly becoming impatient with the ongoing violence just across the Mediterranean. Russian President Vladimir Putin reemerged from a 10-day absence that fueled many-a-rumor – speculation ranged from a palace coup, to a secret birth of a child, even to some wondering whether the Russian President met an early demise. The Kremlin offered no explanation, but Putin appeared to be just fine. Despite his seemingly good health, the Russian economy continues to buckle under the weight of low oil prices. And that, according to Bloomberg, has Putin increasingly angry at a once close ally: Rosneft head Igor Sechin. Putin is reportedly blaming Sechin for rising debt at the state-owned oil firm, perhaps stemming from the purchase of TNK-BP in 2013. Also, Sechin’s role in borrowing billions of rubles that sent the currency plummeting in December 2014 has raised the ire of the Russian President. There are rumors that Sechin could be on his way out, but those reports are unconfirmed. Nevertheless, the fraying of the relationship suggests low oil prices are taking a toll on Putin’s inner circle. While we often talk about oil prices, natural gas prices are also making headlines. Due to extraordinary inventory builds in 2014 in addition to new pipeline capacity, the northeastern region of the United States did not experience supply shortages. In fact, natural gas inventories are now above the five-year average, the first time in more than a year that has occurred. As a result, natural gas prices did not spike this past winter in the way they did in 2014, despite record snowfall in Boston. Now, with winter in the rear view mirror, natural gas consumption will ease a bit. Natural gas prices for the month ahead delivery dropped to $2.70 on March 16, the lowest level in three years. Low prices will slow the rise in electricity rates for much of the country, which grew at their fastest rate in six years in 2014. But low natural gas prices will also inflict extra pain on drillers, already reeling from low oil prices. 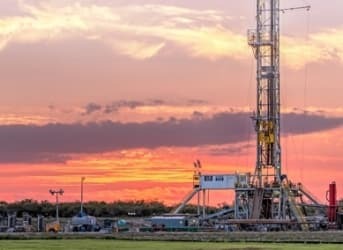 Is Fracking’s Bad Reputation Justified? Is Rosneft The Best Buy On The Global Markets? 100,000 Layoffs And Counting: Is This The New Normal? Give Wall Street a vacation. That takes care of the oil market price manipulations.